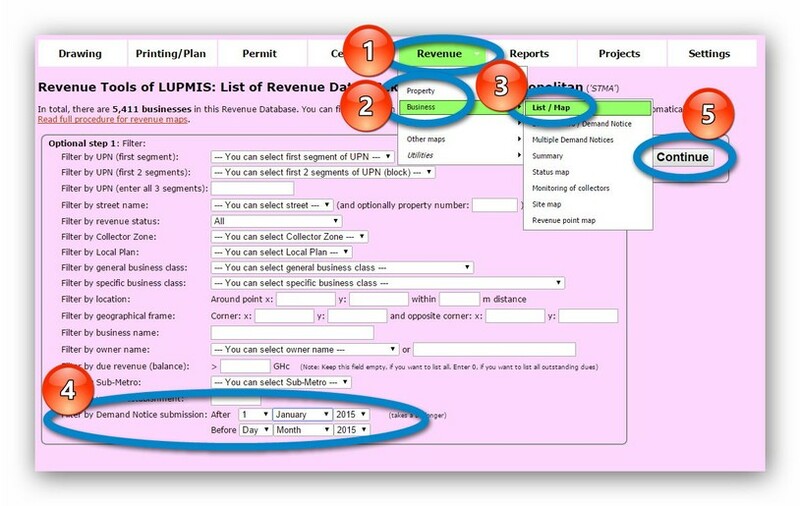 Demand Notices are invoices for property or business revenue, to be collected by the revenue collectors. 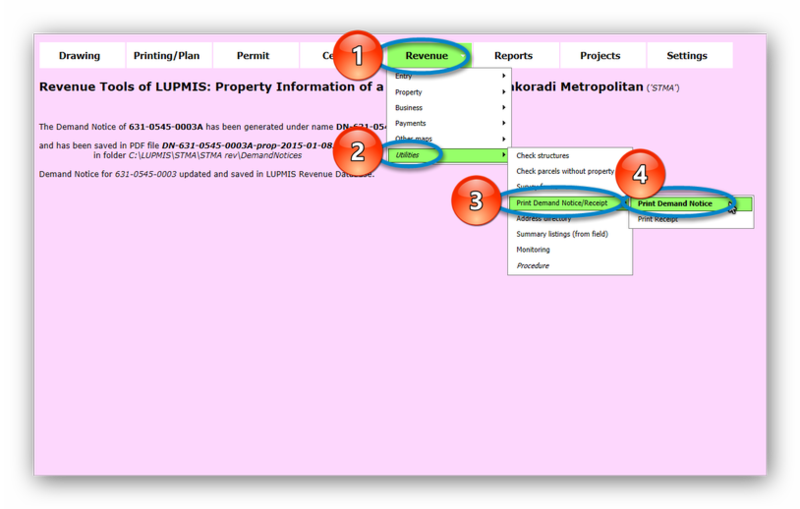 The document can be retrieved either for a single property / business or for many. 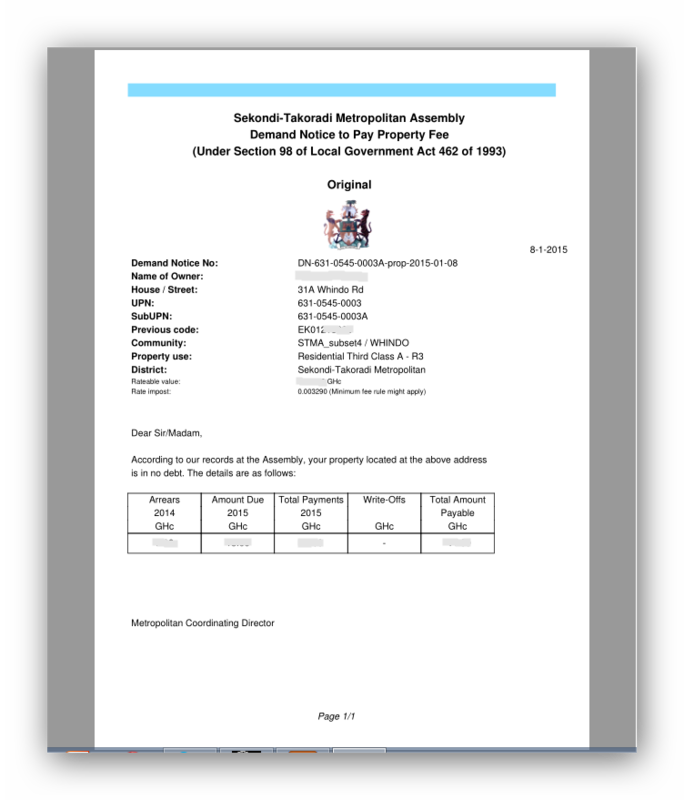 This has created a PDF file with the name of the Demand Notice, including the UPN (for example, 'DN-678-0789-0123-prop-2013-05-31') in folder C:\LUPMIS\(district)\(district) rev\DemandNotices. The file can then be printed through any PDF program, recommended Acrobat Reader (see Annex 11 for distribution, Annex 1.1.3 for installation): Windows Explorer > right-mouse click > 'Print'. for which all Demand Notices will be prepared and saved to the computer for print. 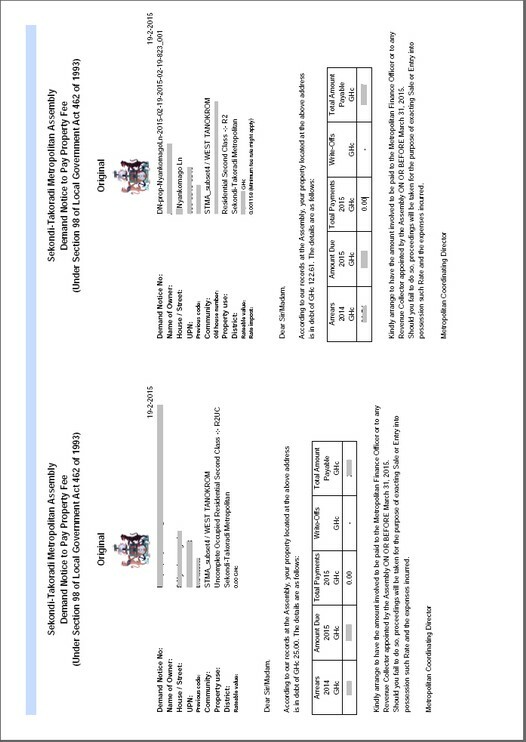 Observe that you can print in different paper sizes (A4 or A5), also 2 Demand Notices (each A5) on an A4 page (option 5 above). 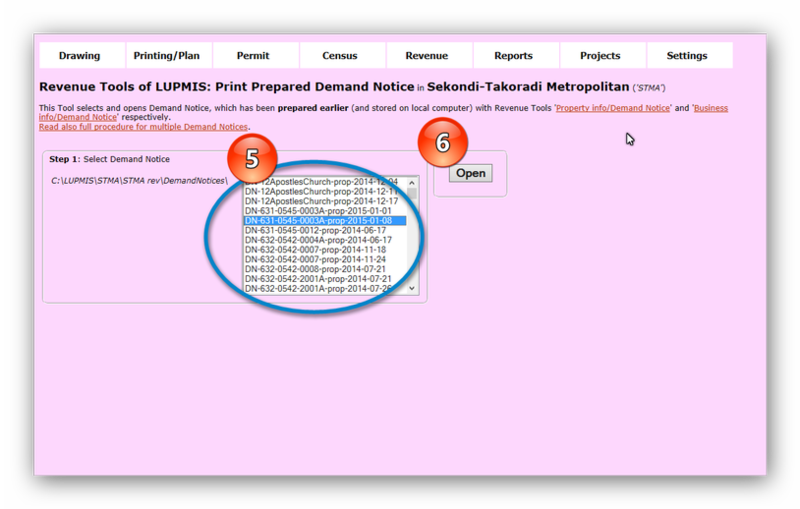 You can also group many Demand Notices (either 100 or 1000) in 1 PDF file. If there are more than 100 or 1000, another PDF will be created. 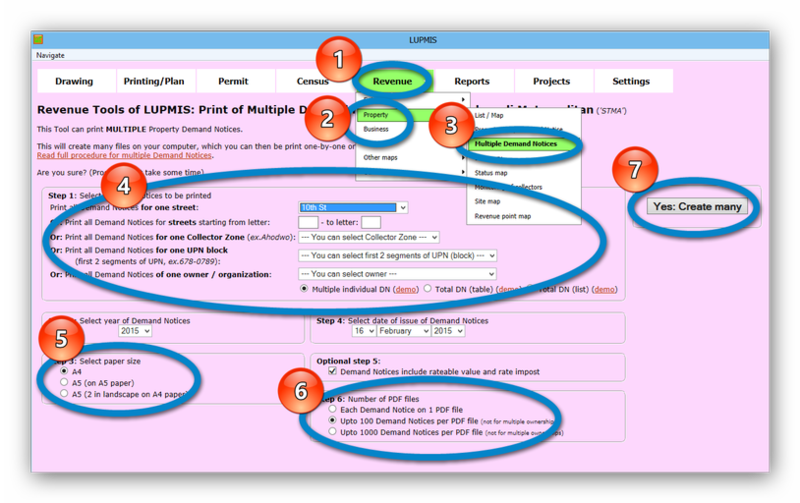 You can also bulk-print through other software utilities. 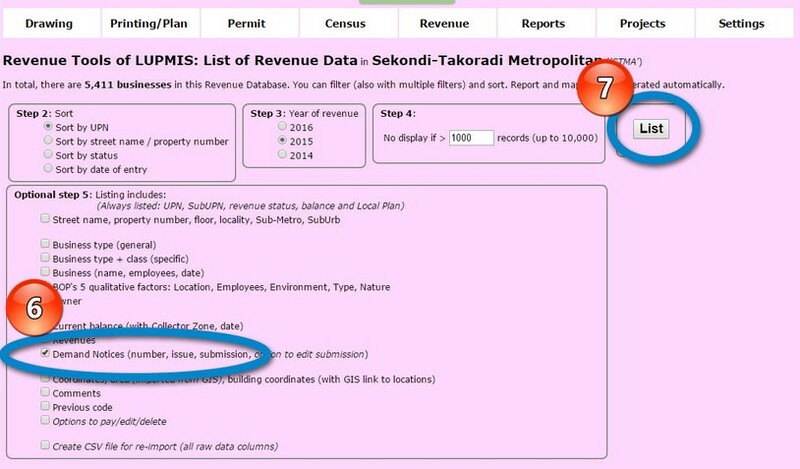 Just be aware, that all Demand Notices are stored in your .... rev \ DemandNotices folder.